Staying in tonight? Why not join me tonight, with your friends, right before midnight (eastern time) to bring in 2011. We'll be having Doctor Anonymous Show 199 and we'll be taking a look at the year past and looking ahead to 2011. If you've never checked out the show before, there is a live chat room, and sometimes a live webcam and you can see me do the show right before your eyes! I did a NYE show last year, and we had a great time there! Hope to see you for the show! Probably the most common New Year's Resolution I hear year after year is the one to lose weight. I mean, hey, even I tell myself that I'll feel better when I'm able to drop some pounds. But how is that done? I get asked all the time what is the best diet out there and what piece of exercise equipment should people purchase to get the job done. And, oh yeah, how soon can I see results? Losing weight is not easy - duh - a doctor doesn't need to tell you that. But, in the video above, I talked with our local TV station about some practical "Dos and Don'ts" when it comes to trying to lose some weight as your New Year's Resolution. As a rule, I tell people to start off your plan slowly when it comes to eating better and incorporating some exercise. If you find the above video helpful, I invite you to check out other of my TV interviews at MikeSevilla.TV. Enjoy! 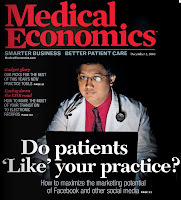 Welcome to those of you who have found my site after reading the December 3rd, 2010 edition of Medical Economics magazine. Thanks to Morgan Lewis, Jr for interviewing me for the article entitled "Getting Patients To 'Like' Your Practice." Also thanks to Chris Holley-Starling for all the great photographs including the magazine cover. In addition to Medical Economics, I've also been featured by the ACP Internist website, Pixels & Pills website, FoxNews.com, American Medical News, Radio Rounds program, and others. On the Doctor Anonymous site, I invite you to check out the site including blog posts all the way back to 2006, my podcasts where I interview some of the most popular people in medical social media, my twitter stream, my facebook page, my you tube page and a lot more. I also have a LinkedIn page for your review as well. Feel free to leave a comment below, or drop me an e-mail with feedback (the e-mail address is in the sidebar). Thanks again for stopping by the site. I appreciate it! Addendum: Local TV news interviewed me in January 2011 about the Medical economics cover. See the video below. Every once I a while, a story catches my eye as I scan the news websites. 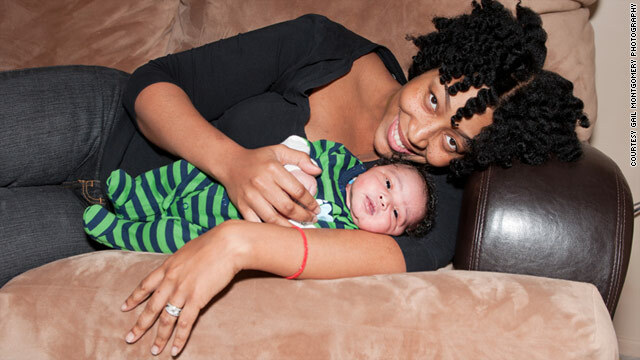 There was one this morning on CNN with this catchy title, "Mom Defies Doctor, Has Baby Her Way." The article describes a story where mom was going to have her fourth baby. Her previous three were born via C-section. Mom did not want another C-section done, and "defied" her doctor's order for the procedure. "You're being irresponsible," the patient was told. The middle of the article talks about the current thinking and statement of the American College of Obstetrics and Gynecology saying that "it's reasonable to consider allowing women who've had two C-sections to try to have a vaginal delivery." Of course, there's risks with proceeding with a vaginal delivery and risks of another C-section. What's always interesting to me are the comments following the article. I applaud the physicians in there who are fighting back the anti-physician sentiment and those who are pushing (no pun intended) the only home birth agenda. In this article, this person is being held up as a hero - as someone who defied the paternalistic medical establishment and did it her way. Good for her, or is it? What if that 0.4-0.9 percent possibility of severe complication occurred and there was a problem with mom and/or the baby? What would happen then? According to the court of public opinion, there would be always someone to blame for the bad outcome, and I'm not thinking that people would be pointing fingers at mom. They would of course, people would be blaming the doctor and the entire medical establishment for not fully explaining the risks of a choice like this. And, of course, there would be the usual lawsuits when a bad outcome happens. My point is this. I'm all for patient empowerment, and I have written about the rise of the e-patient (empowered patient), in the past. But, in the US healthcare system, there is still not enough patient responsibility that has occurred among all patients. Good outcomes are usually attributed to patient's taking initiative and bad outcomes are usually attributed to bad doctors. This frustrates me. Isn't there somewhere in the middle that both those perceptions can meet? Last week, Doctor Anonymous Show 197 was a lot of fun with my good friend @DrTolbert co-hosting talking about the holiday season. Also thanks to @MDStudent31 for calling into the show and to let us know of his early match news. Congrats to you sir! In the video above, you'll see me doing an (un)dramatic reading of Twas The Night Before Christmas to start the show. 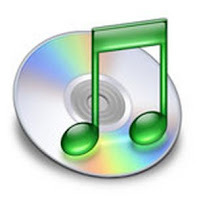 As always, you can listen to the entire audio podcast in the sidebar. Or, if you like, you can go to the iTunes site for the show, download the show, and listen anytime. I also encourage you to check out the Facebook page for the show, and hit the big "Like" button at the top. Thanks for your continued support for the blog and for the show! Saturday Nite on BlogTalkRadio took a different turn last night. Both on last night's Doctor Anonymous Show and Annie and Burl Show, the topic was mainly the changes that are going to take place on BlogTalkRadio as of February 1, 2011. I invite you to read my previous initial reaction to this right here. A lot of people are going to be leaving BTR come February. As I have said previously, I have not decided the fate of The Doctor Anonymous Show on BlogTalkRadio as of yet. But, it is clear that BTR are going to lose a lot of great hosts. There were a handful of other platforms that where mentioned during last night's discussion including talkshoe, ustream, livestream, paltalk and others. I invite you to join me for Doctor Anonymous Show 197 which I am designating the "Holiday" show. My guest will be my good friend @DrTolbert from twitter. He has been on the show in the past, and he'll be stopping by to share some thoughts about the holiday season, Christmas, New Year's, and all that stuff. We'll probably also be talking about geeky stuff as well. This morning, I, along with the rest of the BlogTalkRadio hosts (I presume) received the above message in our e-mail boxes this morning. 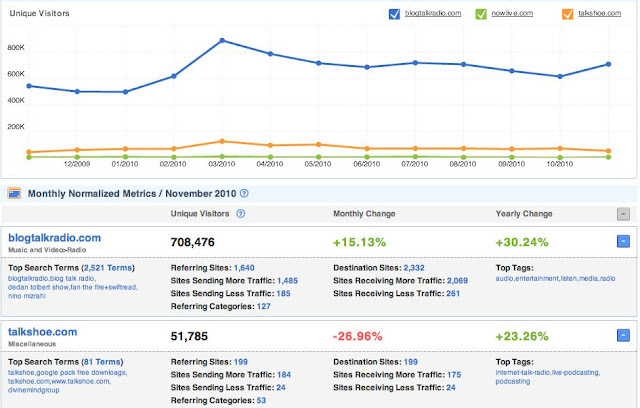 The statement says that as of February 1, 2011, the free BTR accounts will significantly change. 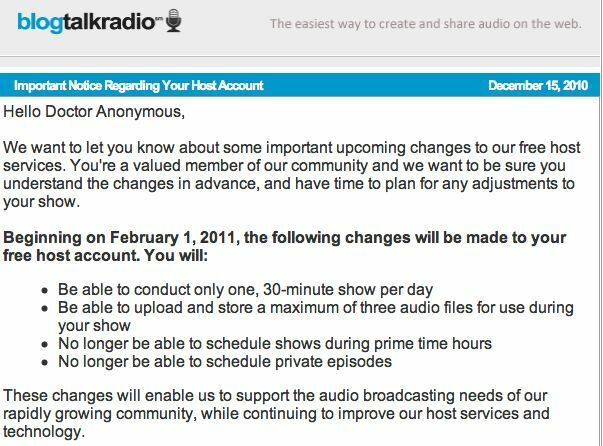 Free accounts will no longer be able to schedule in a prime time slot and can only have three audio files in your account (along with other changes). The writing has been on the wall for a while, but it looks like BTR is really taking the step to push everyone to paid accounts. What will this mean for The Doctor Anonymous Show? I'm really considering just ending the show at the end of January after 200+ shows and 3+ years and looking at other projects. I mean it's been a good run. And, to be honest, the numbers have been trailing off in the past few months anyway. Most of the audience enjoyed the novelty of this type of show at first, but I think have now moved on. And, maybe I should, too. I was invited to be a guest on the Eco Radio Network program which is out of the Albany, NY area. The topic I was asked to talk about is ailments associated with technology. You may remember I was interviewed a few months ago about this topic and I direct you to my blog post called AmEdNews: Technology Ailments for more information. My segment will start at around 11:15am Eastern Time and you can listen to my short segment either on the Eco Radio Network website or the Talk1300AM live stream. This should be an interesting interview. When I talked with the producer, they were looking for someone to talk about this. They did a google search, and my name popped up. They tell me that a podcast will eventually be released of the show. It's interesting because podcasts from this particular radio station are not available on iTunes. I had to hunt around for a little bit to find the radio podcast page to download stuff. I'll try to record the segment as well to post up on the blog. Hope you can check out my interview! Thanks again to the crew over at the Radio Rounds podcast/program for interviewing me on their show a while back. Episode 416, which was broadcast on November 28, 2010, was released as a podcast last week and you can download it over on their iTunes page. If you don't already know, Radio Rounds is a program that is exclusively written and produced by medical students at Wright State University in Ohio. I encourage you to check out their website for a list of more great interviews. Thanks again to Radio Rounds! This past weekend in the state capitol, my professional organization asked me to participate in an interesting meeting talking about health care payment reform and how to improve the health care delivery system. This was sponsored by the state of Ohio and their Health Care Coverage and Quality Council. It was the first meeting that I've been to where there were physicians, hospitals, insurance companies, and patients - all trying to put our heads together - present our points of view - and try to come to consensus. Did we come to consensus on solutions, not really - only that we will continue the conversation. There is no perfect solution that will make everyone happy, but we will strive to try to get to that best imperfect solution. One of the recurring questions that came up during the day was this: What will motivate patients/consumers to take a greater role in their own health? Motivating factors for patients who are required to pay deductibes and co-pays will be different than the motivating factors for patients who are not required to pay deductibles and co-pays. What about those who are unwilling or unable (ie - significant mental illness) to be an active participant to improve her/his health? Providers will be forced to suffer penalties for not reaching quality benchmarks. What if patients do not reach some pre-determined benchmarks for their own health? Will there be consequences for patients (other than the obvious health ones)? Should patient accountability be an expectation here? As a final observation, there was a huge missing piece that was not discussed at all. The topic of liability reform, malpractice reform, tort reform - whatever you want to call it - never entered into the discussion of health care delivery and health care payment reform. If I, as a primary care physician, am going to be asked to brainstorm about innovative ways to deliver health care, all I'm asking is to somehow be met halfway and ask for relief on liability issues. If I'm going to be asked to be a better financial steward with the health care dollar, why not try to remove those evil phrases of "defensive medicine" and "excessive testing" from my mind. Why do some symptoms that present to the ER given the "million dollar workup?" Is it good medicine, maybe. Is it fear of missing something and a lawsuit down the road, more likely. A lot of the discussion was on a comprehensive plan including providers, payors, and patients at the table. In my opinion, without significant tort reform, the question of lowering health care costs in the United States will remain unanswered.